Stories in the Percy Jackson universe isn't going to end with Percy Jackson's Greek Gods and Heroes just yet as Rick Riordan recently announced a new demigods series pitting the characters back into this world. Presenting the new series titled The Trials Of Apollo! The series will be composed of five books and will feature the first-person point-of-view of a God! Each chapter will be as hilarious as ever, but this time they will all be in a form of a very bad haiku. Riordan said the series will keep in touch with old favorites and will see what's happening to them now. Rick Riordan also added: "How do you punish an immortal God? By making him human. After angering Zeus, Apollo is cast down and lands in NYC as a regular teenage boy. Without his godly powers the deity must learn to survive in the modern world until he regains his powers. But he has enemies who would love to destroy him. He can think of only one place to go for help: Camp Half Blood." The series will be about how Apollo has been turned into a human because Zeus is angry with him. He becomes a 16-year-old mortal boy with absolutely no powers. He’ll wind up in New York City, landing in a dumpster, no less. He’s got lots of enemies and only a few friends — friends who spend their time at Camp Half-Blood. He’ll need their help to survive the mortal world and, hopefully, regain his godly powers. And while it’s certainly extremely exciting to know we’ll be going back to the Greek gods, it’s even more exciting that we’ll be meeting Percy and the whole gang again. In fact, we will find out what happens after The Blood of Olympus, seeing everyone at one point or another. 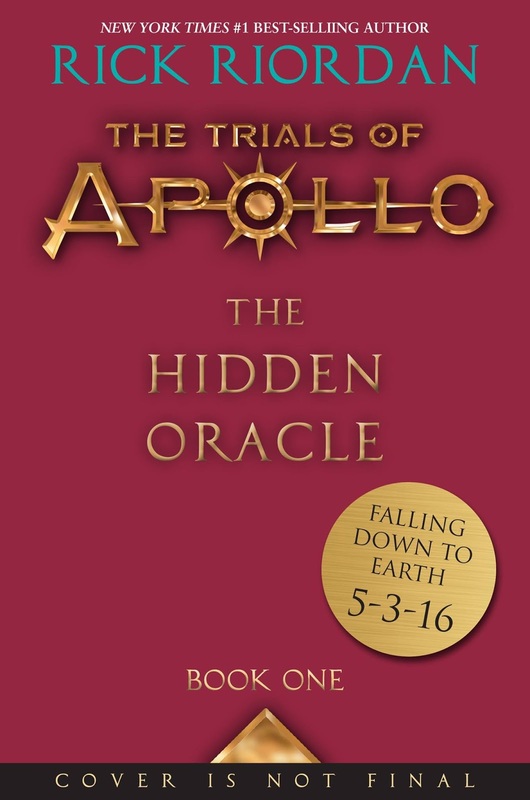 The Hidden Oracle, which is the first book in The Trials Of Apollo series, will hit book stores on May 3, 2016. 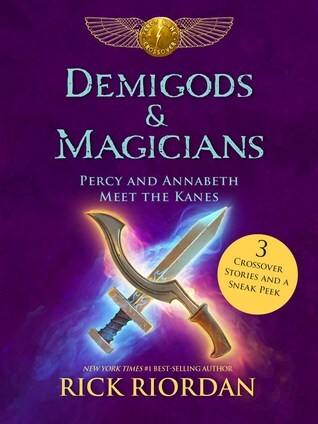 A teaser, which will be included in Demigods & Magicians: Percy and Annabeth Meet the Kanes (a collection of the crossover stories), will come out on April 5, 2016.